So, it seems like we could all use some laughter now. Will Black and his team have put together a program of comedy films to address that need. Vicksburg's first ever Southern Comedy Showcase features 6 shorts. 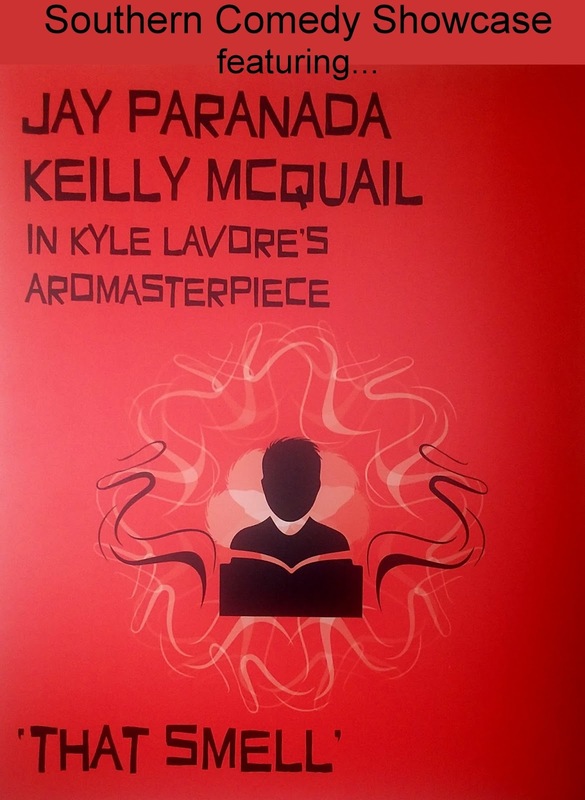 Kyle Lavore's "That Smell" takes you into the ultra-secretive world of book sniffing. Follow Nate (Jay Paranada), as he heeds instruction of the secret practice from an underground leader and learns of the showdow men hell-bent on stopping the movement. A couple who has found themselves in the early throes of a post apocalyptic world discuss whether or not to eat their dead, best friend Jeremy. During the biggest snowstorm of 1988, Tom (Mike Fardy) finds himself stranded in a tiny basement apartment with his worst nightmare. In this absurdist tale, the entire Arab population has left the film industry in search of other careers, which leaves other people trying out for terrorist roles. Splitting her time between Saturday Night Live and NYU's Tisch School of the Arts, Director Carter Tate debuts her first short mockumentary which follows Dotsie, a 92 year old with a big personality as she shows you around her lovely new residence: Country Village Retirement Center. Jeffrey (Jesse Velik) is an exotic dancer who is in it for the art. But with art comes struggle, courage, and cleaning houses between gigs. Check out the official website of the event to see images, trailers, interviews, etc. Come see the films, pick your favorite, have dessert with us and discuss afterwards. Advance tickets are available at Highway 61 Coffeehouse for $8. At the door: $10.